Vitamin D has a well-established role in calcium and phosphorus metabolism and bone mineralization. Vitamin D deficiency causes rickets in children, and in adults can lead to osteomalacia, resulting in muscle and bone weakness. Data are emerging that link hypovitaminosis D, as assessed by measurement of 25-hydroxyvitamin D [25(OH)D], with cardiovascular pathology. 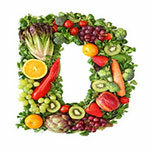 Vitamin D deficiency has been associated with hypertension, some inflammatory markers, and metabolic syndrome. More recently, low serum 25(OH)D has been associated with increased incidence of cardiovascular events and all-cause mortality. In this review, we discuss the role of vitamin D in health, and describe recent evidence linking hypovitaminosis D to cardiovascular disease. We describe controversies surrounding recommended daily intake and optimal serum levels, as well as discuss the need for further research relating vitamin D deficiency with cardiovascular disease. Vitamin D, which has also been referred to as the "sunshine vitamin" is a lip id-soluble vitamin obtained from both exogenous and endogenous sources. Some foods, such as eggs, fatty fish, and liver naturally contain vitamin D, but other dietary sources of vitamin D are from fortified foods, like milk and cereals, or from nutritional supplements1. Most of the body's vitamin D is produced endogenously following exposure of skin to sunlight, thus geography, season, skin tone, and sun exposure are primary predictors of vitamin D nutritional status2. Vitamin D obtained from sun is in the form of vitamin D3 (cholecalciferol), while vitamin D2 (ergocalciferol) or D3 may be obtained from dietary sources. Vitamin D2 differs from vitamin D3 in that it is derived from dietary ergosterol; it contains a double bond between carbon 22 and 23 and it has an additional methanol group at position 24, while vitamin D3 is produced by the action of sunlight on 7-dehydrocholesterol. Both Vitamin D2 and D3 are biologically inactive and are activated by two hydroxylation reactions, the first occurring in the liver to form 25(OH)D and the second occurring in the kidney to form the biologically active 1,25-dihydroxyvitamin D [1,25 (OH^D] (see Figure 1). Since only the hydroxylated forms are active and because these active molecules are produced within the body and have effects in multiple tissues and cell types, it is more accurate to consider 25(OH)D and 1,25(OHz)D as hormones rather than vitamins. The current upper limit of vitamin D intake is 2000 IU/day due to toxicities that may occur at higher doses. Toxicities are rare but are associated with symptoms caused by marked hypercalcemia. Many have also suggested that the 2000 IU/day recommendation is too conservative. A review of recent clinical trials by Hathcock, et.al.5, applying risk assessment methodology used by the Food and Nutrition Board, demonstrated an absence of toxicity in trials conducted on healthy individuals using a vitamin D dose of > 10,000 IU/day. The authors suggested this value could be used as the upper limit. However concerns about possible toxicity lead most patients and clinicians to use more conservative dosing regimens. Vitamin D intoxication has been clearly documented in experimental studies in animals and in human case reports.6 Hypervitaminosis D is associated with increased absorption of calcium and phosphorus, which can lead to hypercalcemia, hypercalciuria, vascular calcification, renal, and even renal failure. It is important to note that most case reports of vitamin D toxicity have resulted calcification from vitamin D intake far above 10,000 IU/day (5). In addition to its primary action on bone metabolism, it is now clear that vitamin D has many non-skeletal actions, and that vitamin D deficiency may be associated with chronic diseases including cancer, autoimmune disease, cardiovascular disease and even psychological illnesses such as schizophrenia and depression.9 Here we describe some of the more recent findings associating vitamin D deficiency with various aspects of cardiovascular disease. Vitamin D deficiency has been associated with hypertension, inflammatory markers, diabetes, and the metabolic syndrome, and has recently been associated with increased cardiovascular events and all cause mortality. The association between diabetes and cardiovascular disease is well-established and the presence of diabetes is considered as a coronary heart disease risk equivalent in the National Cholesterol Education Program Adult Treatment Panel III guidelines.12 A body of research now indicates that vitamin D may play a role in insulin resistance13 and diabetes.14 Although many studies have been published, a few will be highlighted here. Hyppönen and colleagues collected data on the dose and frequency of vitamin D supplementation during the first year of life in 10,366 children born in 1966.14 By the end of December 1997, 81 of the 10,366 children were diagnosed with diabetes during the study. Regular supplementation with vitamin D during the first year of life was associated with a decreased frequency of type I diabetes (rate ratio = 0.12, 95% CI = 0.030.51) even after adjustment for neonatal anthropometric and social characteristics. In 15,088 participants (7186 male and 7902 female) from the NHANES III who had serum 25(OH)D measures, the adjusted prevalence of diabetes mellitus was significantly higher in the first than in the fourth quartile of serum 25(OH)D levels (OR = 1.98, P<0.001).15 This study also showed significant associations between low levels of 25(OH)D and obesity, hypertension and hypertriglyceridemia. In a meta-analysis published in 2008, 16 Pittas and colleagues searched MEDLINE through January of 2007 for observational studies associating 25(OH)D concentration and type 2 diabetes and for randomized controlled trials of the effect of vitamin D supplementation on outcomes related to glucose homeostasis. A relatively consistent association between low concentrations of 25(OH)D and the prevalence of type 2 diabetes or the metabolic syndrome was shown for observational studies. Evidence from randomized trials suggested that combined supplementation with vitamin D and calcium may have a role in the prevention of type 2 diabetes mellitus, particularly in high risk populations (i.e. patients with glucose intolerance). The evidence, however, was limited because observational studies often did not adjust for potential confounding factors and intervention trials were often short in duration and/or included few subjects. Thus, although there appears to be an association between vitamin D and diabetes as well as insulin resistance and the metabolic syndrome, more studies are needed to further characterize the importance and extent of these associations. Since 1999, much work has focused on inflammatory mechanisms that couple dyslipidemia to atherogenesis, and it is now recognized that inflammation plays a role in virtually all phases of atherothrombotic disease.17 Interest in the role of vitamin D in the immune system was sparked by the finding of vitamin D receptors in peripheral blood monocytes.18 Subsequently, l,25(OH)2D has been shown to inhibit development of some autoimmune diseases including multiple sclerosis and inflammatory bowel disease (19). Interestingly, 1,25(OH)2D supplementation does not appear to affect other immune mediated diseases like experimental asthma and immunity to infectious organisms.20 Studies in which serum 25(OH)D has been measured along with inflammatory markers (cytokines, CRP, etc.) have not been consistent, with some studies demonstrating an association between low 25(OH)D and inflammatory markers,21,22,23,;24 while others have not.25,26 Thus, the role of vitamin D in inflammatory mediated atherogenesis requires further investigation. Although vitamin D deficiency is most notably characterized by its effect on the musculoskeletal system, associations between hypovitaminosis D and the cardiovascular system have sparked much interest. As a result, epidemiologic studies examining the association between low serum concentrations of vitamin D and cardiovascular endpoints have been performed. Endpoints that have been investigated include myocardial infarct, stroke, cardiovascular mortality and all cause mortality. Framingham Offspring study participants (n = 1739, 55% women) without prior cardiovascular disease had serum measurements of 25(OH)D and were then followed for a mean of 5.4 years for cardiovascular events including myocardial infarction, stroke or heart failure.27 In this time period, 120 first cardiovascular events occurred. Individuals with 25(OH)D levels < 15 ng/mL (< 37.5 nmol/L) had a multivariable- adjusted hazard ratio of 1.62 (95% CI 1.11-2.36) for incident cardiovascular events compared to individuals with 25(OH) D > 15 ng/mL. In a nested case control analysis of The Health Professionals Follow-up Study 18,225 men (age 4075 years) were followed for 10 years.28 Nonfatal myocardial infarction or fatal coronary heart disease occurred in 454 men. Men with 25(OH)D concentrations < 15 ng/mL were at increased risk for myocardial infarction when compared to 900 controls without events who were matched for age, date of blood collection, and smoking status and had 25(OH)D values > 30 ng/ml (relative risk 2.09, 95% CI 1.24-3.54). This difference was significant even after adjustment for family history, lifestyle, laboratory, and other risk factors. Most recently, Vitamin D deficiency has been linked with both cardiovascular mortality and all cause mortality. In a prospective cohort study, 3256 consecutive male and female patients scheduled for coronary angiography were followed for a median of 7-7 years with 737 deaths including 463 from cardiovascular causes.29 Compared to patients with 25(OH)D concentrations in the highest quartile (median 28.4 ng/mL or 71 nmol/L), patients in the lower two quartiles (median 7.6 and 13.3 ng/mL or 19.0 and 33.3 nmol/L) had higher hazard ratios for all cause mortality (HR = 2.08, 95% CI = 1.60-2.70 and HR = 1.53, 95% CI = 1.17-2.01, respectively) and for cardiovascular mortality (HR = 2.22, 95% CI = 1.57-3.13 and HR = 1.82, 95% CI = 1.29-2.58, respectively). Although these studies demonstrate significant associations between 25(OH)D concentrations and cardiovascular events, they do not confirm a direct causal relationship. Consideration should be given to whether vitamin D deficiency is a cause or an effect of cardiovascular disease. Groups at risk for developing adverse cardiovascular events include older adults and individuals with obesity and a sedentary lifestyle who have poor dietary habits. These same individuals are likely at risk for vitamin D deficiency because their sedentary life style includes limited sun exposure and poor dietary habits that may result in decreased intake of vitamin D. Determining a causal effect between vitamin D deficiency and cardiovascular events would require large prospective trials designed to demonstrate that correcting vitamin D deficiency reduces adverse cardiovascular events. Because the prevalence of vitamin D deficiency in the general population is been well-publicized, laboratory requests for the measurement of vitamin D have increased dramatically. The most widely used indicator of vitamin D status is 25(OH)D concentration in plasma or serum. However, several studies have reported discrepancies between the assays used.30'31 Methods used include low and high throughput RIAs, automated chemiluminescent immunoassays, HPLC, and liquid chromatography tandem mass spectrometry (LC-MS/MS).7 Although the reasons for the noted discrepancies in methods are not fully understood, possible causes include the ability of the assays to respond equally to 25(OH)D2 and 25(OH)D3 as well as the lack of a standard reference material (SRM). It is also important to note that some labs and assays report total vitamin-D whereas others discriminate between l,25(OH2)D and 25(OH)D. In response to the apparent lack of standardization, the National Institute of Standards and Technology (NIST) and the National Institutes of Health's Office of Dietary Supplements have been working together to develop a reference material consisting of four pools of fresh-frozen serum, each pool having different concentrations of 25(OH)D2, 25(OH)D3 and one pool containing the recently discovered metabolite, 3-epi-25(OH) D3.32 This new SRM should be very helpful as it can be utilized by investigators to validate new methods, as well as serve as a reproducible point of comparison for existing methods, facilitating method standardization. Vitamin D deficiency has been associated with hypertension, inflammatory markers, diabetes, metabolic syndrome, and has recently been associated with increased cardiovascular events and all cause mortality. This is an exciting finding, as it leads to the possibility that correction of vitamin D deficiency could improve cardiovascular outcomes. However, although lower concentrations of vitamin D have been associated with adverse outcomes, we do not yet have prospective controlled studies demonstrating that supplementation of vitamin D in patients with apparent deficiency is associated with improved outcomes. Although observational studies suggest this may be the case, caution should be taken not to draw causal inferences from observational studies, even if the sample size is large and the duration of follow-up long. We need only to be reminded about the results of studies looking at folate/B vitamin supplementation and hormone replacement therapy to realize the importance of carrying out such studies. Clin Lab Sci encourages readers to respond with thoughts, questions, or comments regarding this Focus section. Email responses to westminsterpublishers @comcast.net. In the subject line, please type "CLIN LAB SCI 22(4) FO CARDIOVASCULAR RISK". Selected responses will appear in the Dialogue and Discussion section in a friture issue. Responses may be edited for length and chrity. We look forward to hearing from you.